Save $20.00 by choosing this option now. What this Prestashop Popup Module has to Offer? PrestaShop popup add-on is useful in scheduling and boosting the conversions of Ecommerce store, it enables storeowners to include customizable popup feature for all formats of content. The PrestaShop Popup extension is beneficial for merchants, who want to show a message containing warning, welcome, call to action on the homepage, category as well as product page. 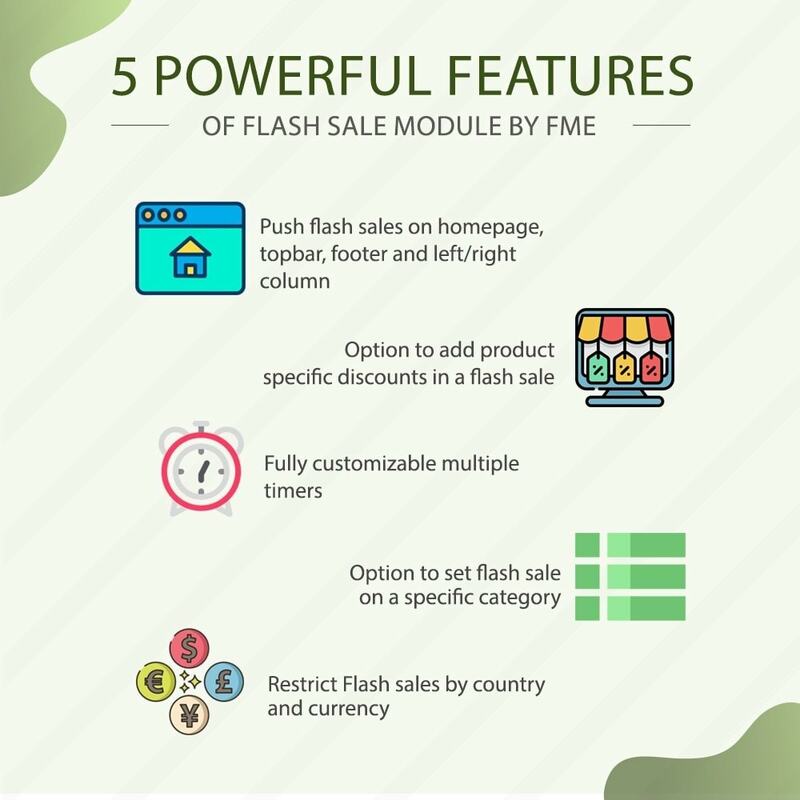 The module can display call to actions, custom messages, latest deals, flash sale, new arrivals and special promotions to viewers in a fancy popup as they land on website. 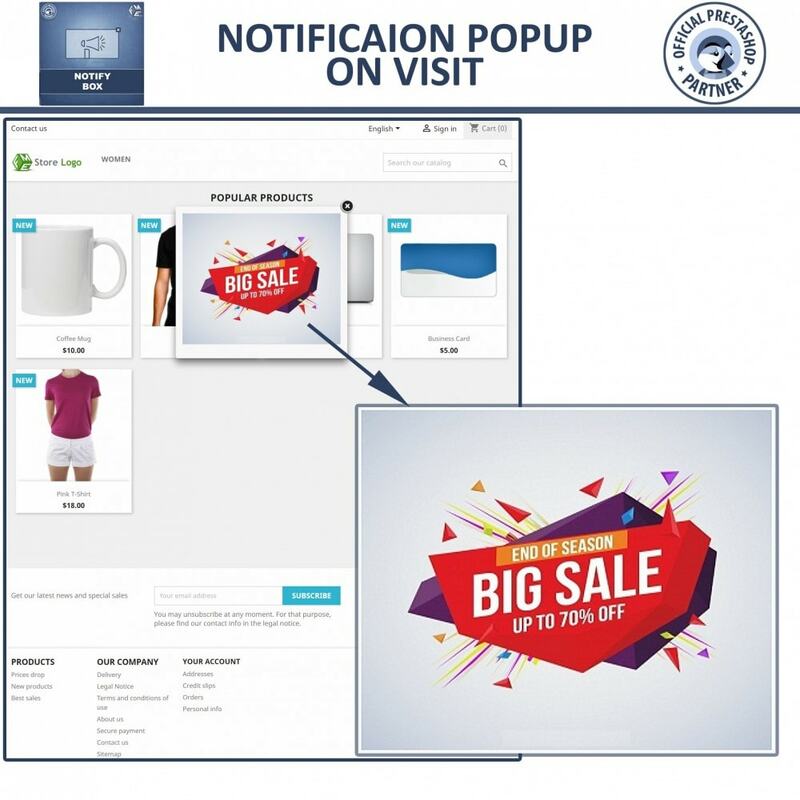 By using pop-up for PrestaShop store, storeowners can include multiple notifications on home, category and product pages of your Ecommerce store. 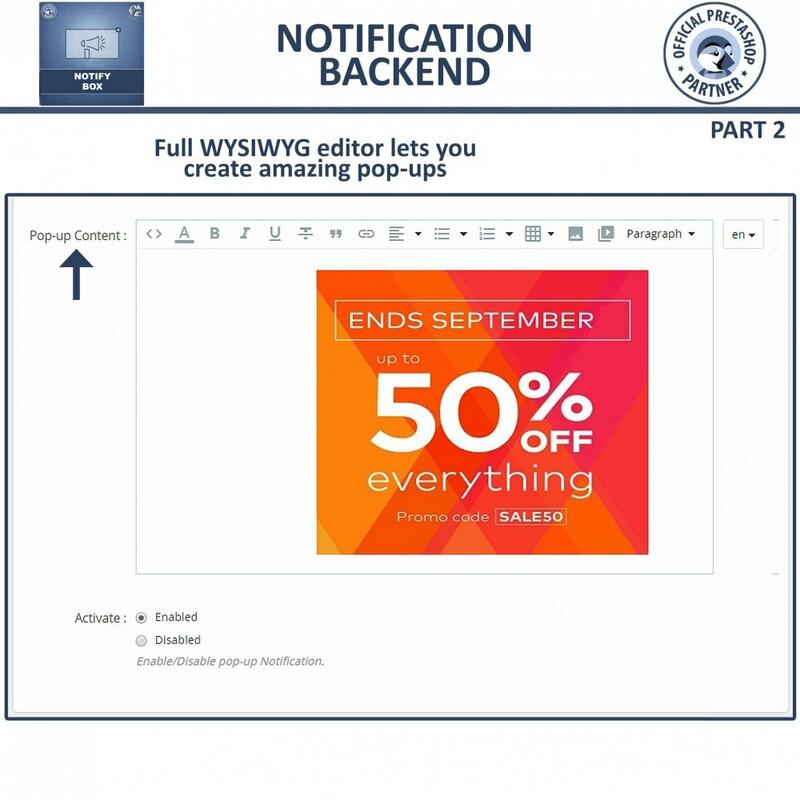 The storeowners can include text, videos, images, links and HTML in notification box, by using rich text editor available through PrestaShop Amazing Notice Bar. The PrestaShop amazing popup box allows adjustment of popup dimensions like width and height, so that notifications could be displayed in desired manner. The store admin can display multiple notifications through PrestaShop fancy box add-on. A store moderator can enable/disable and configure time during which he wants to display notification. 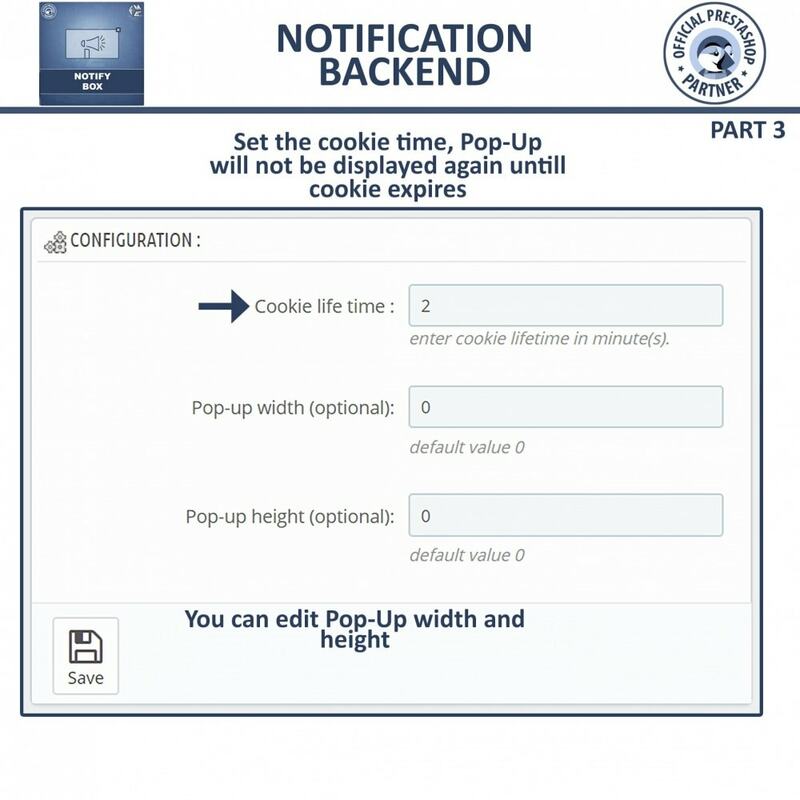 Store owner can also configure lifetime of a cookie, this feature keep on hiding the notification until the expiration of cookie. 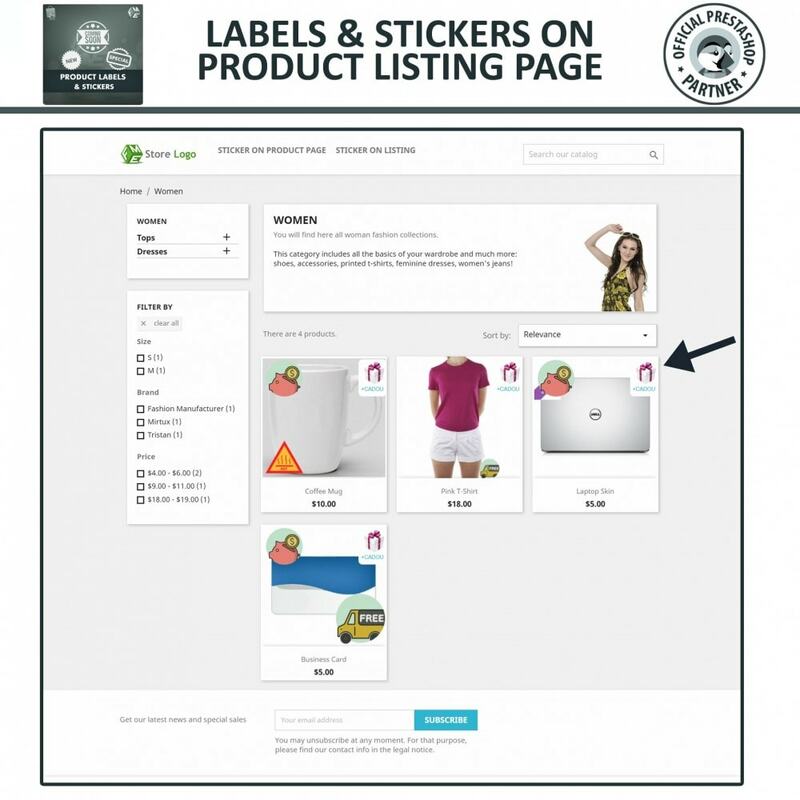 Position labels & stickers anywhere on product image. Add start & end date for any label / rule. 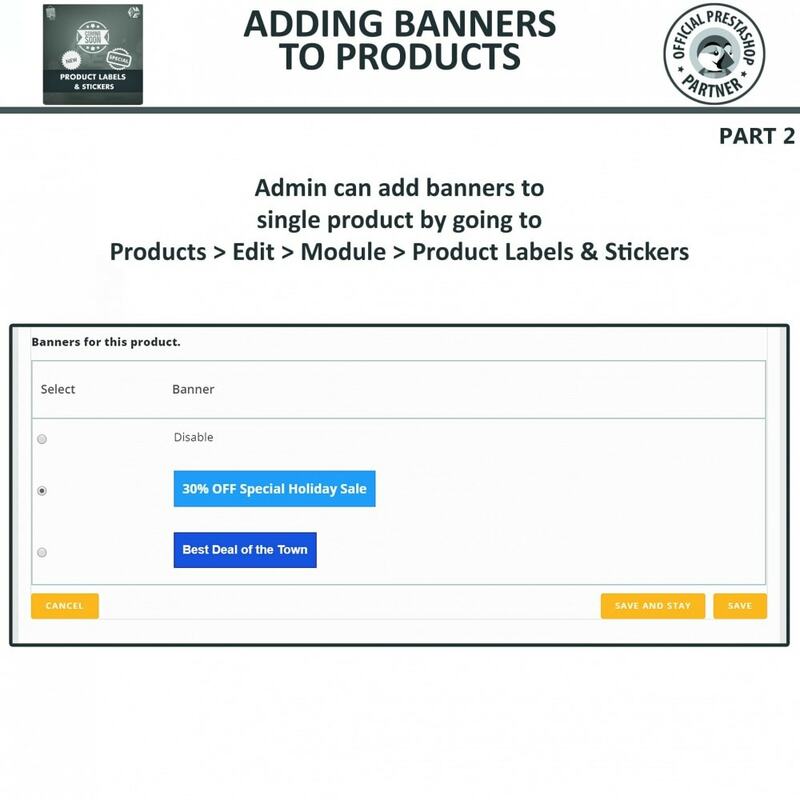 You can create a rule for black friday and add discount sticker to massive product with start and end date and at the same time can create another rule where you can add cyber Monday related stickers to products with start and end date. 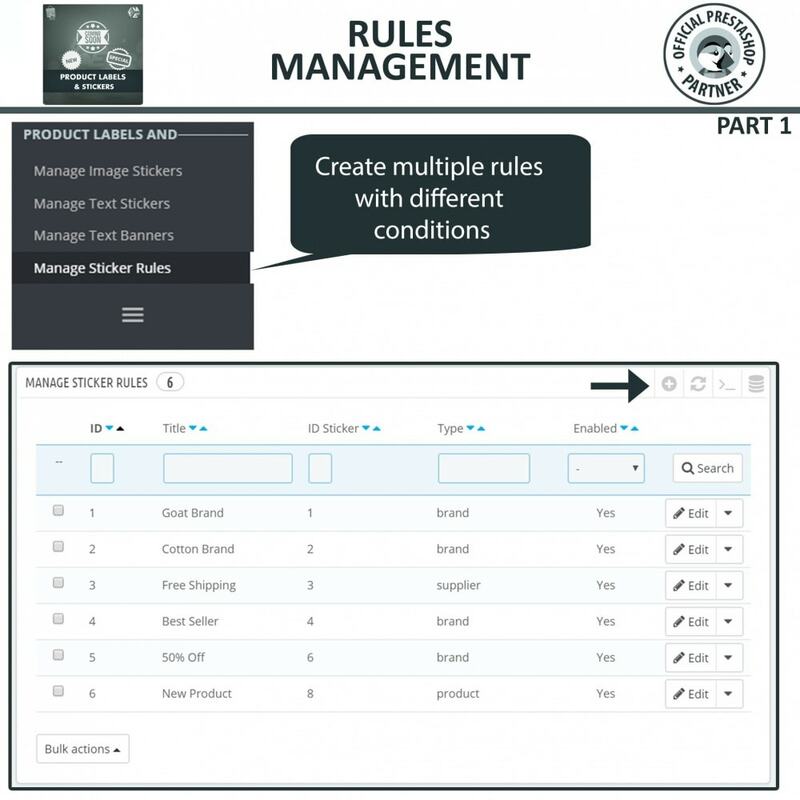 You can create unlimited rules as per your requirements. 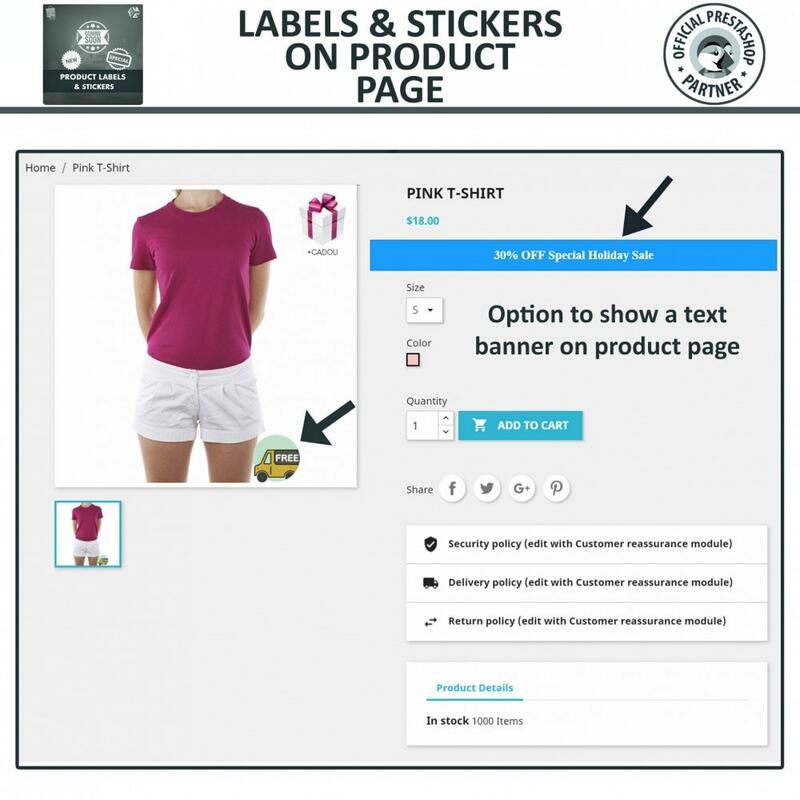 Prestashop Product Labels module can be used for communicating special information that is not clearly visible on the product pages such as the product has free shipping, its a hot selling product, limited stock, fresh arrival or any other special information . The online visitors, who are often short of time, can easily grab the information in a glance and proceed with the product if they have an interest. 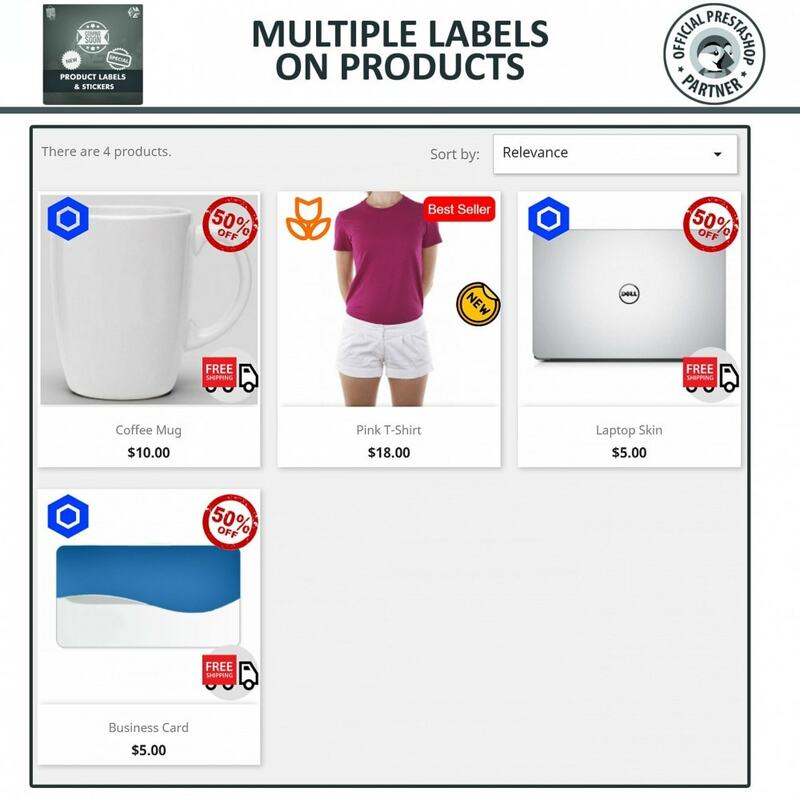 Prestashop product labels and stickers modules enable you to make your products more prominent and eye catching with graphically appealing content. 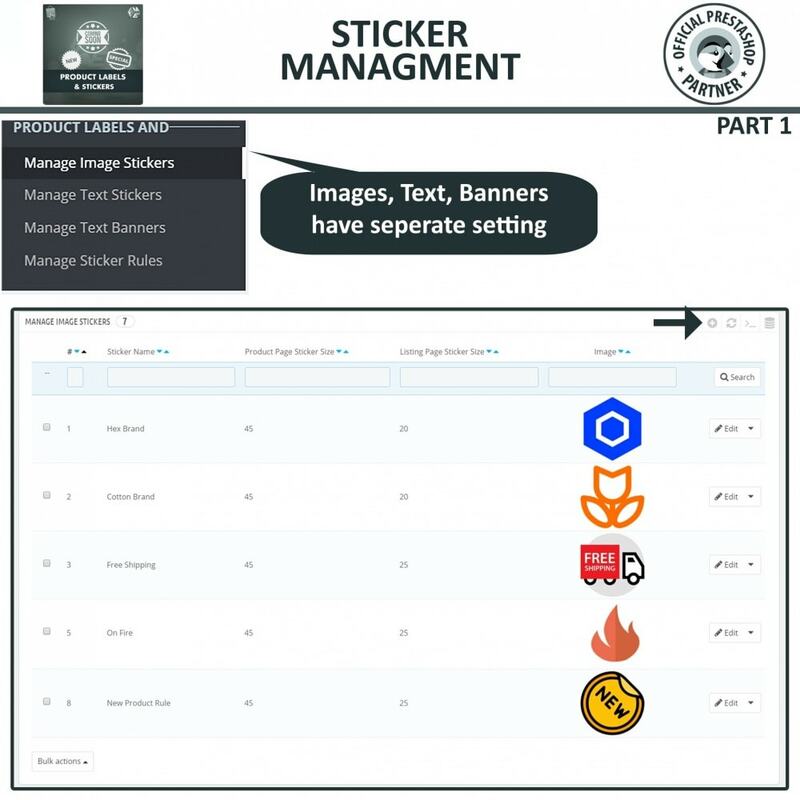 Click on DEMO to learn more about PrestaShop stickers’ labels plugin. With PrestaShop product stickers extension, your admin settings expand with an extra tab for assigning labels to specific products conveniently. 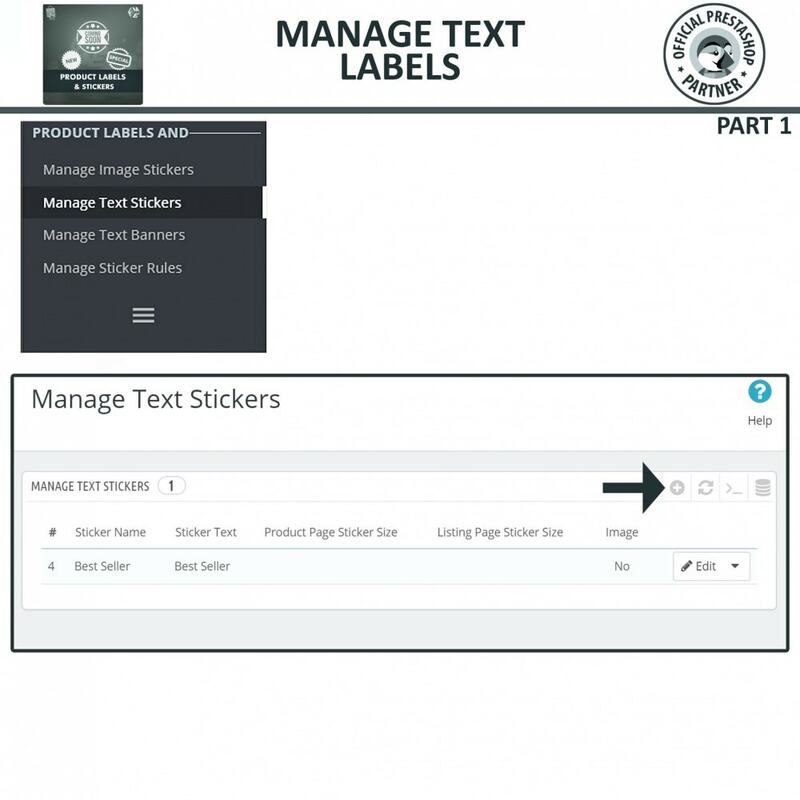 You can add multiple stickers to designated products through in a section dedicated to this task only. Show a label if Product Price is less than the value X. Show a label if Product Price is greater than value X. Show a label if Product has reference value X. Show a label if Product has tag value X. 3 - Rule can be applied to any specific shop/shops. 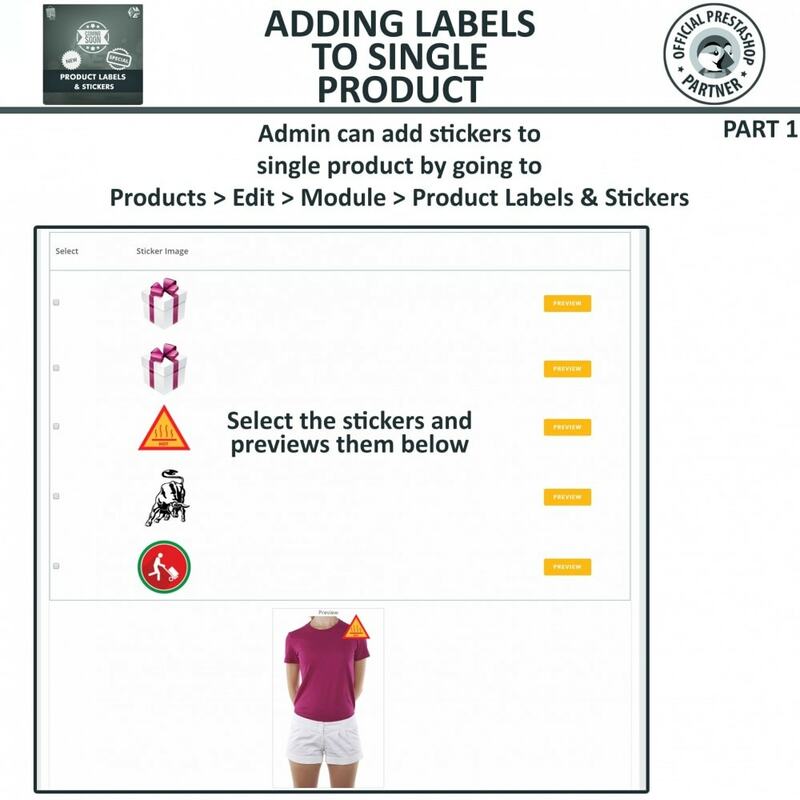 4 - A sticker/label must be chosen to show when a rule is applicable. 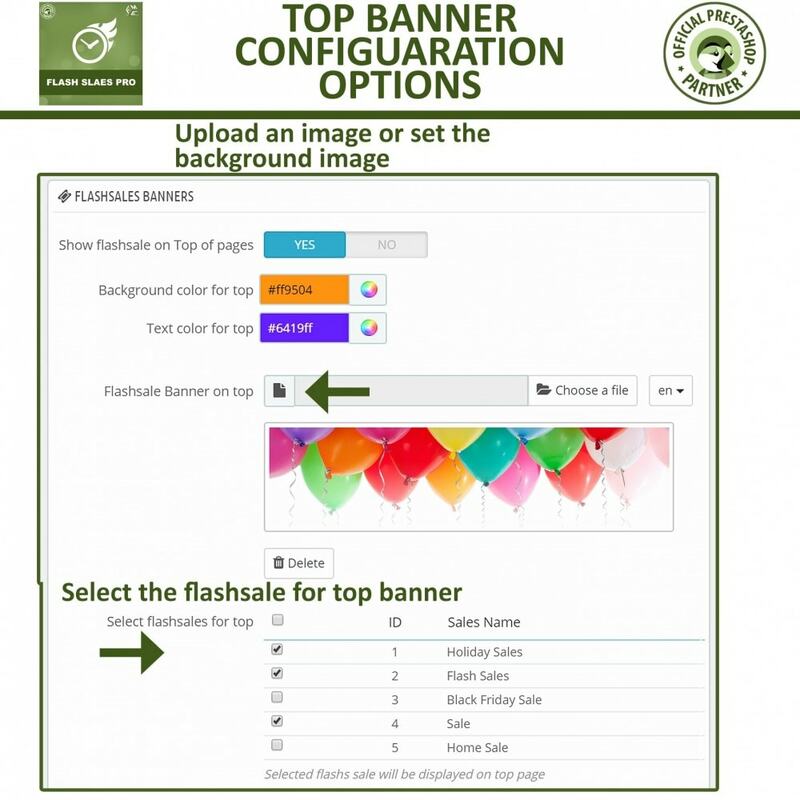 7 - Start and Expiration date option added for Banners. 8 - Start and Expiration date option added for Rules. 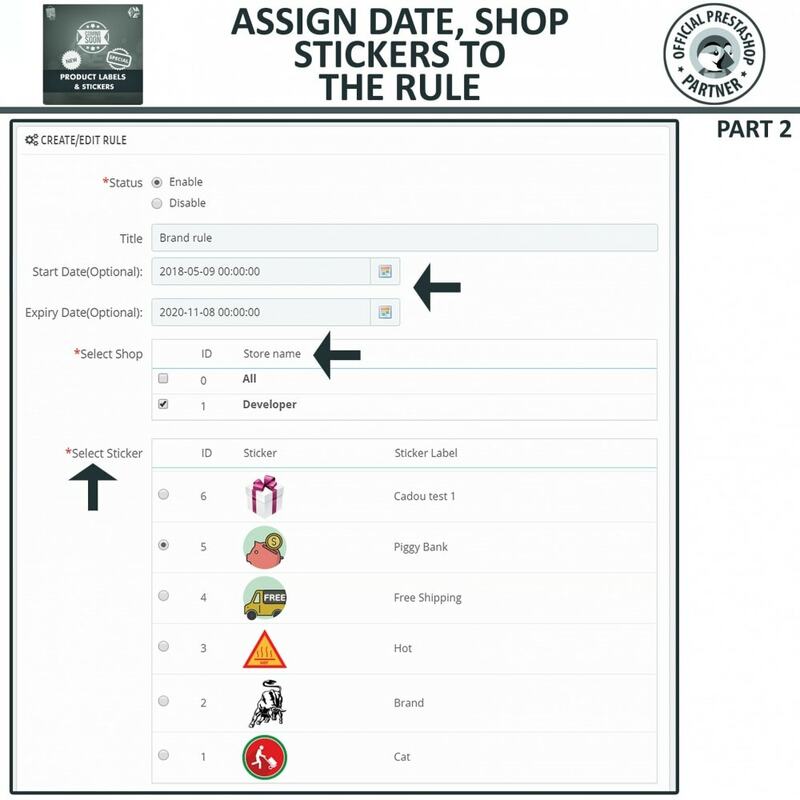 9 - Start Date option added for Stickers previously only expiry date was an option. 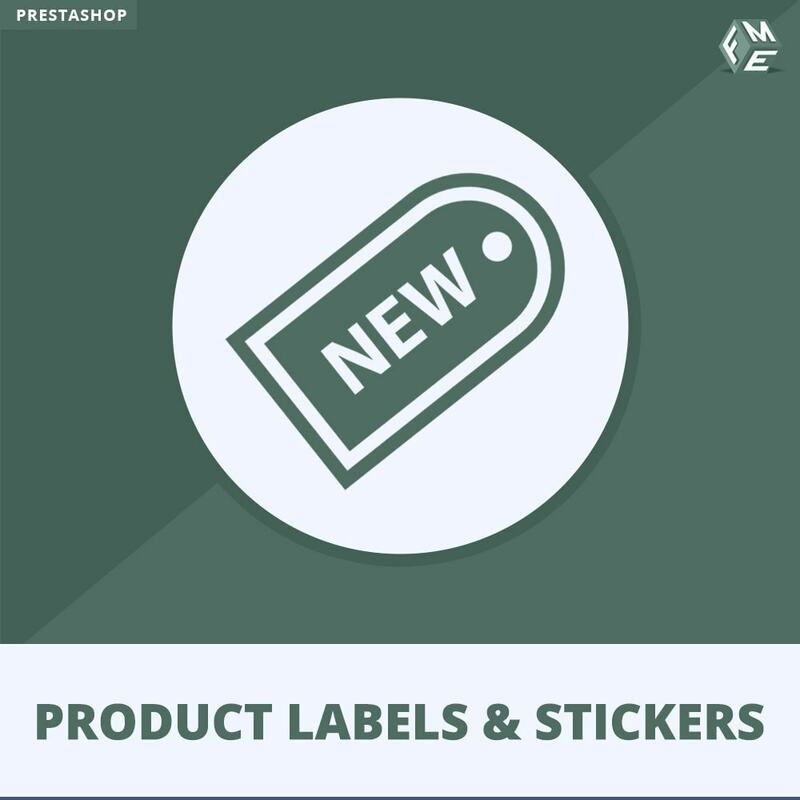 Get more information of this PrestaShop Stickers & Labels Module by visiting the front and backend demo. Perfect sulotion for custom product labels. Great support. Does everythink you need. 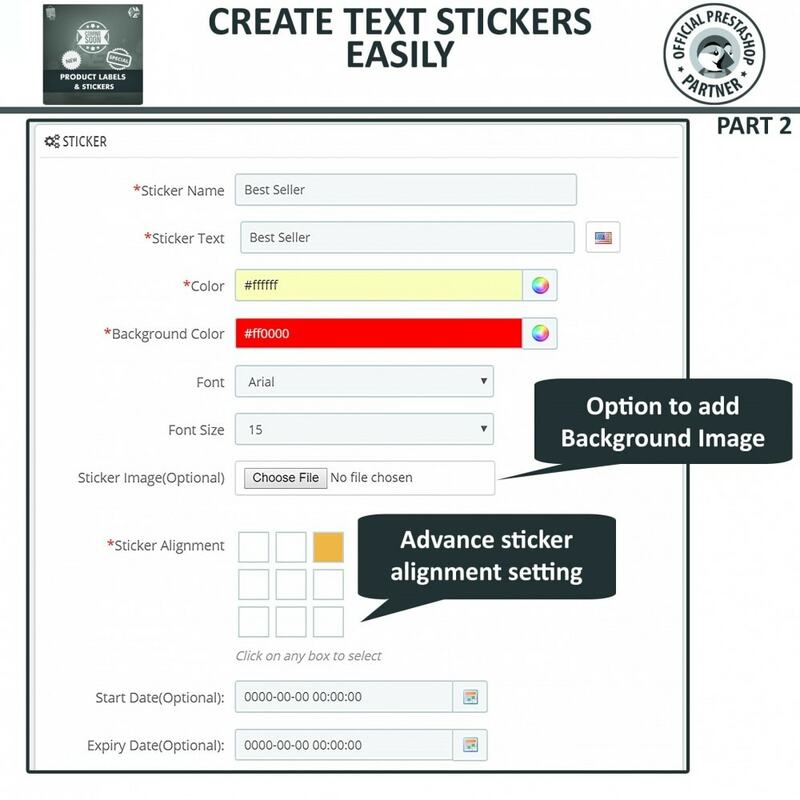 Very cool module to create own stickers. Had some start problems with some fuctions, but was helped well by the support function, they answered and helped fairly quick. 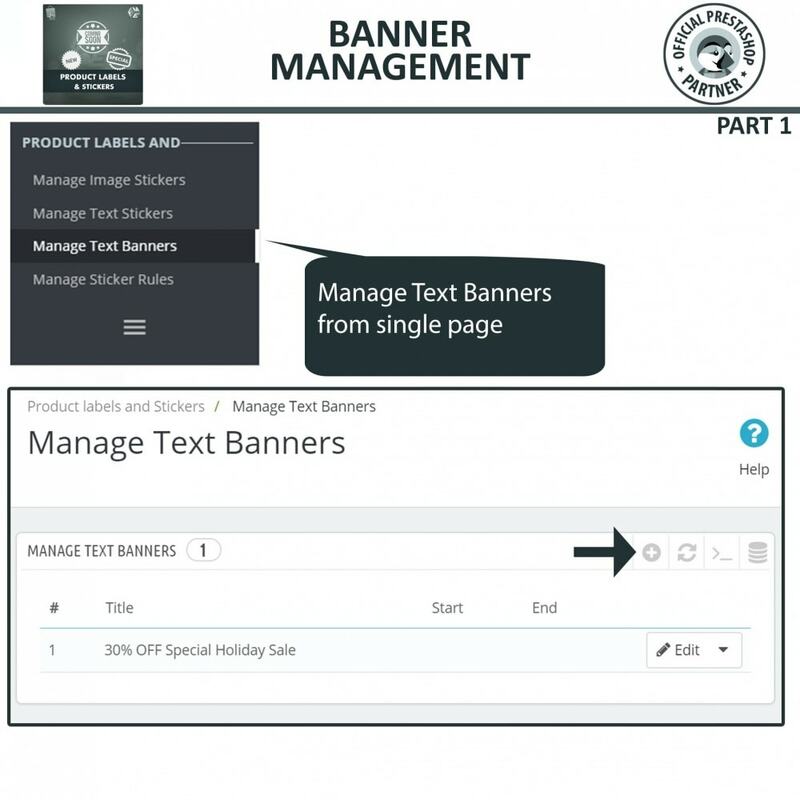 Your customers can instantly come to know about the products by reading the labels only. It simplifies the shopping experience. With the addition of labels, customers are more likely to remember product names and provider. So, your customers will find it easy to visit you back. 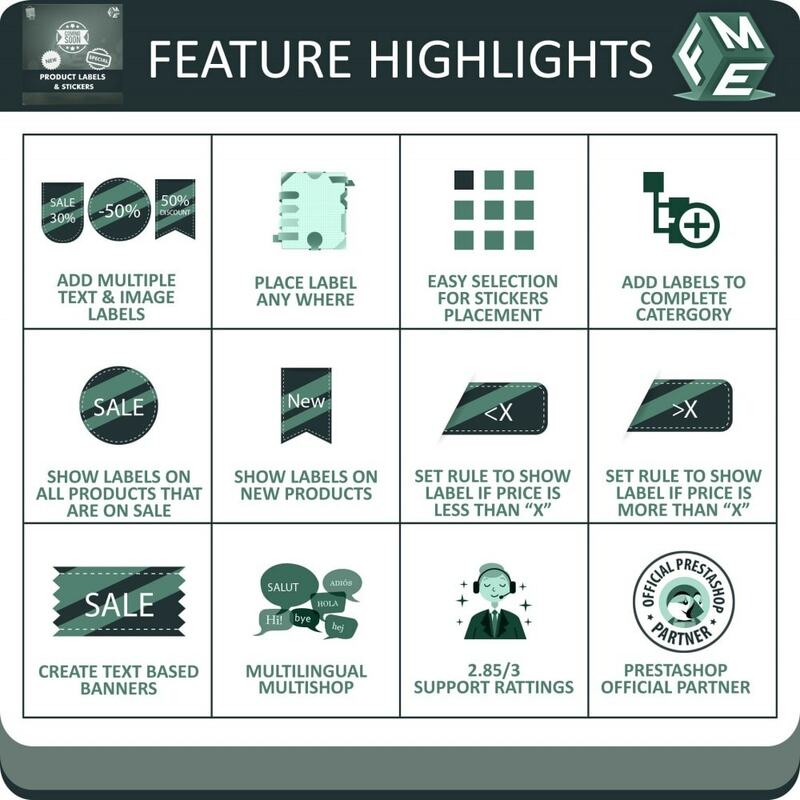 Labels serve impressive and effective graphic content so your customers can know about latest arrivals in a glimpse. 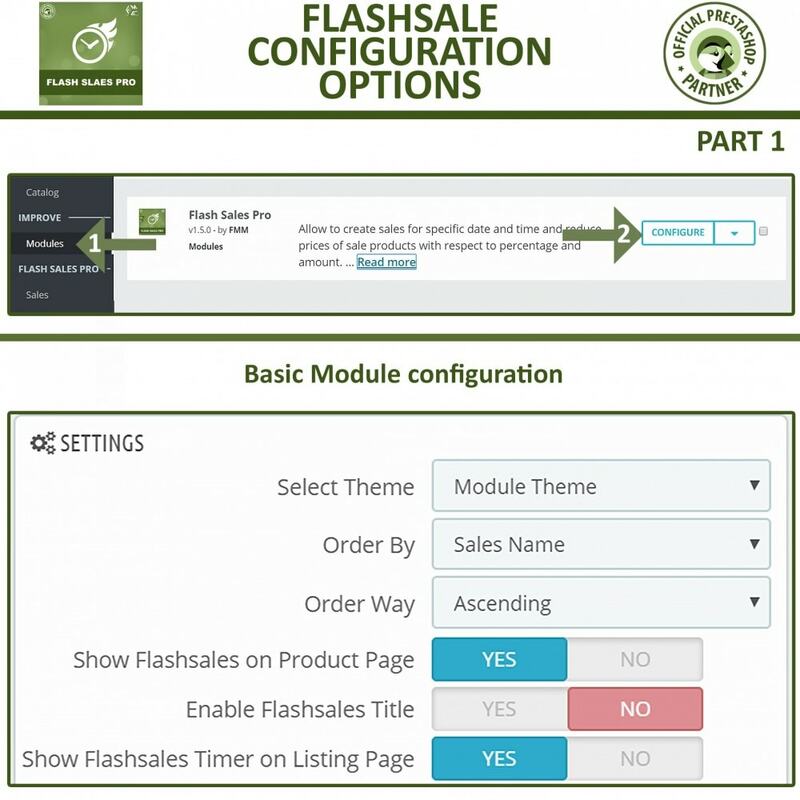 Double your sales by using Prestashop Flash sales module. 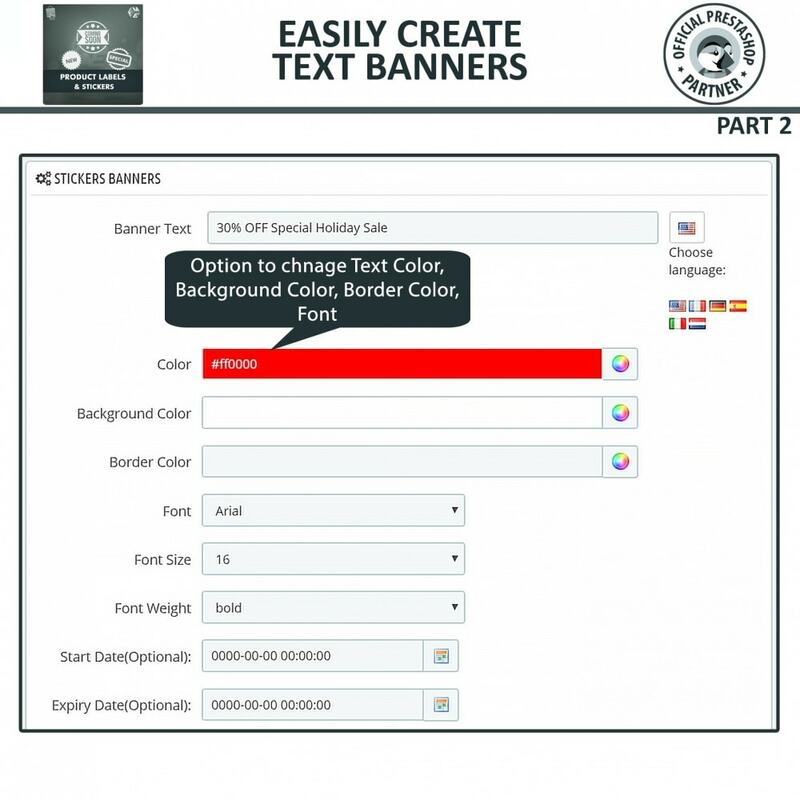 Create multiple promotional offers with discounts and display them on your store. 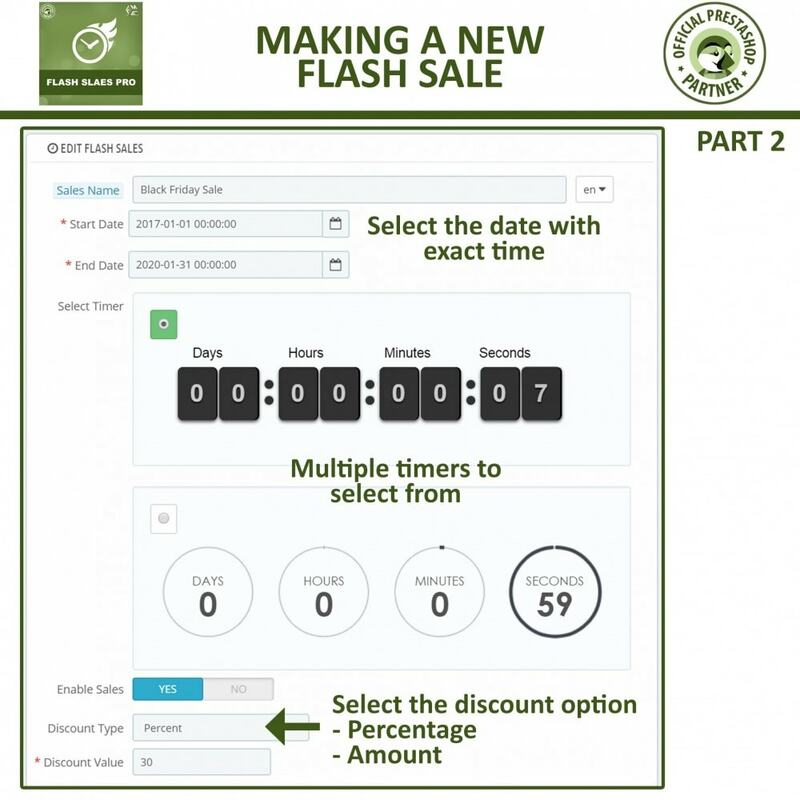 Add countdown timer to create urgency in customers’ mind. 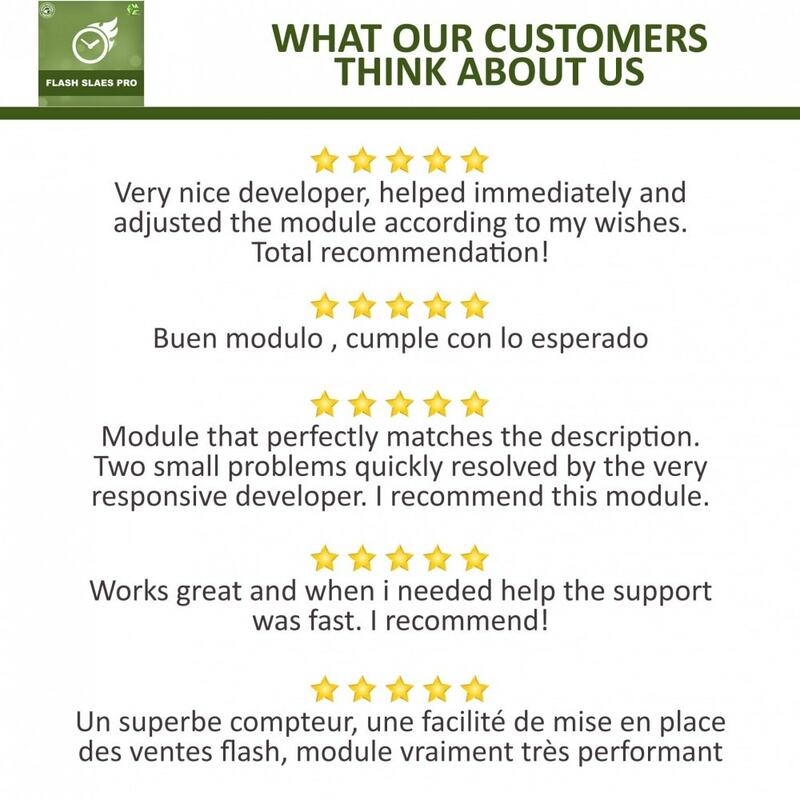 What this Prestashop Flash module does for you? 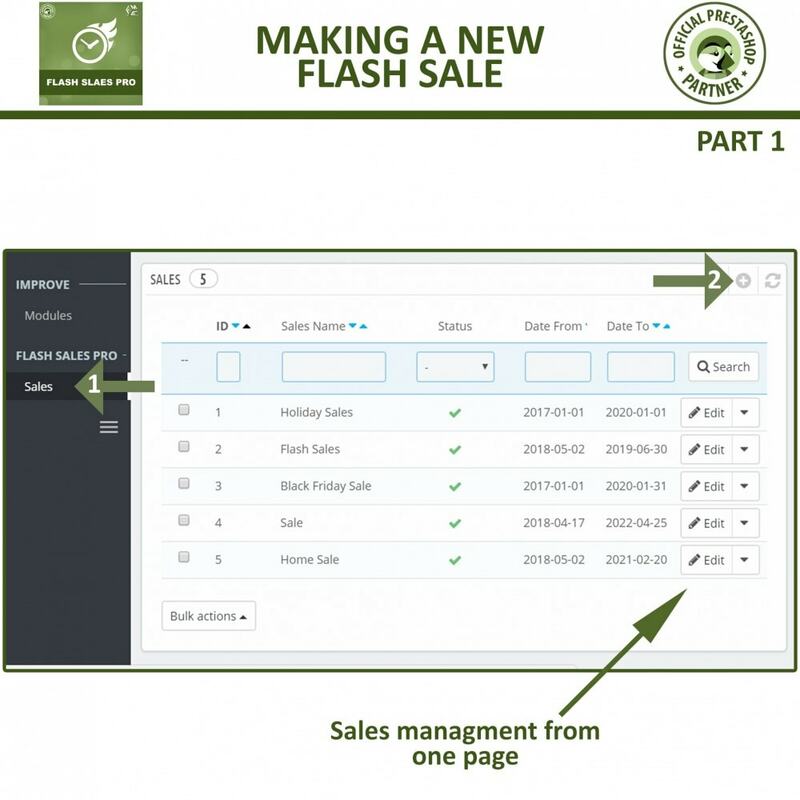 Create multiple flash sales offers and add products to each sales campaign / offer. 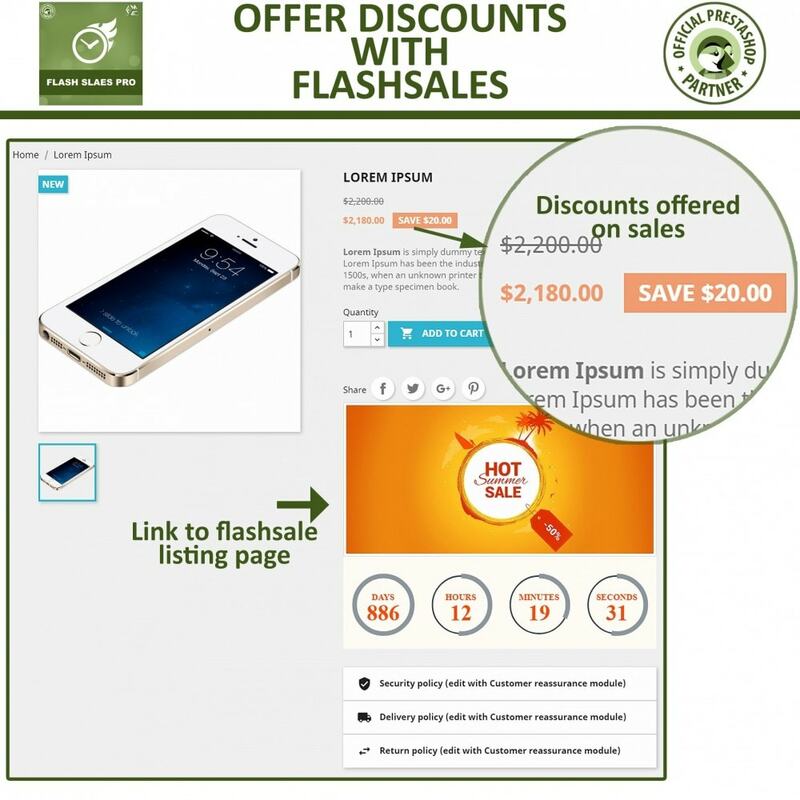 Specify different discounts for different flash sales in fixed or percentage. 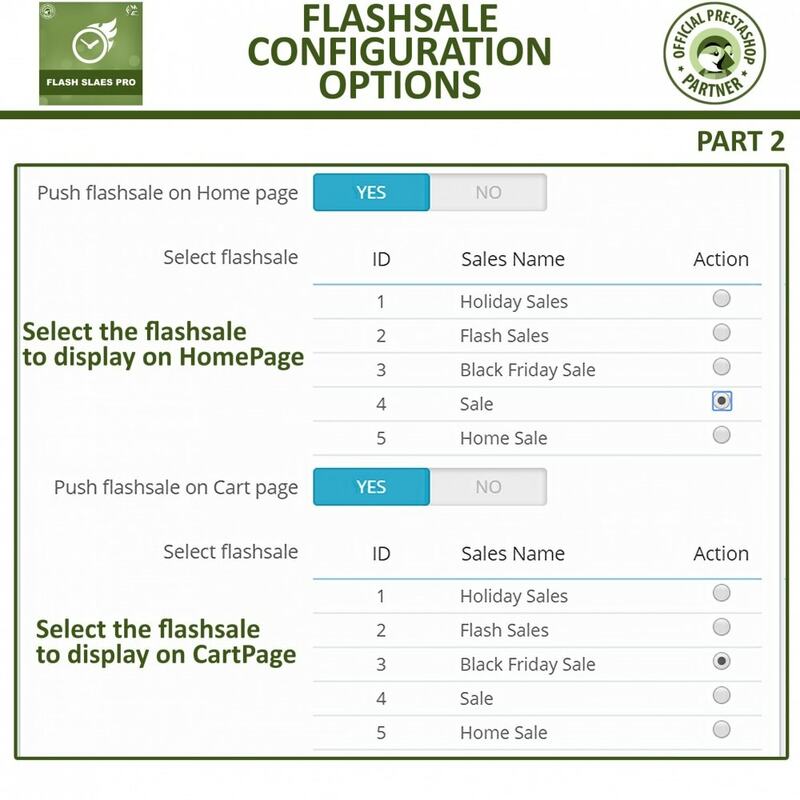 By clicking on the flash sale banner, the specific page appears that shows all products which are offered on discount. 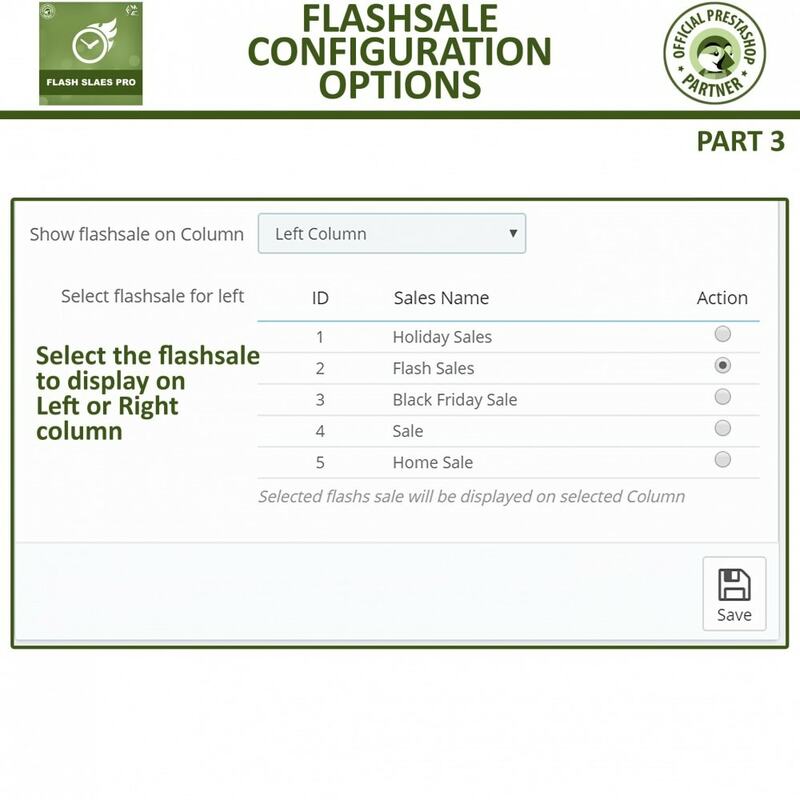 Display multiple Flash sales in a slider. 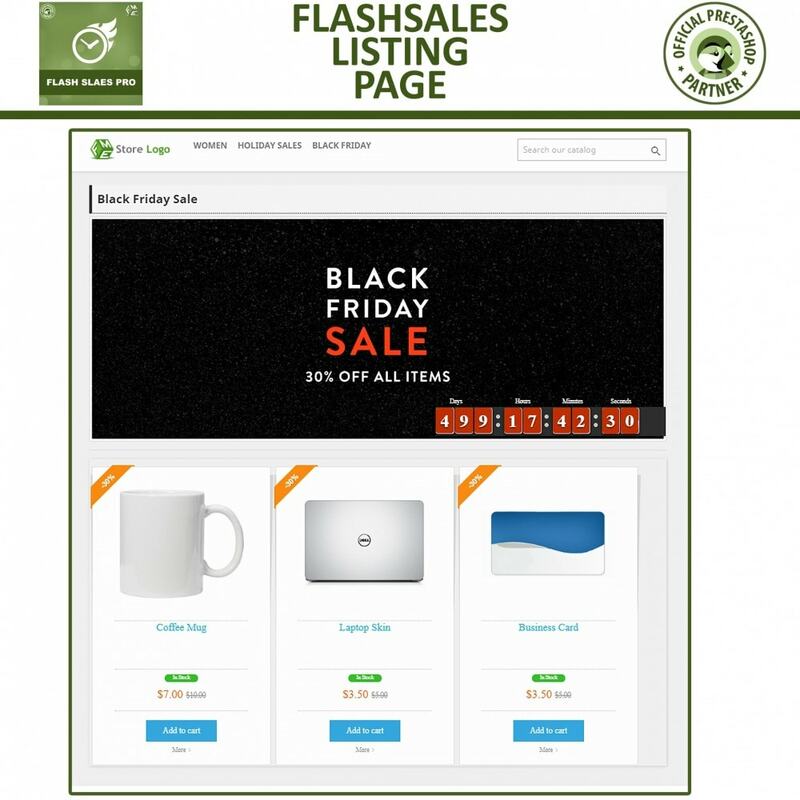 Each flash sale offer has its own dedicated page to show more details/products etc. 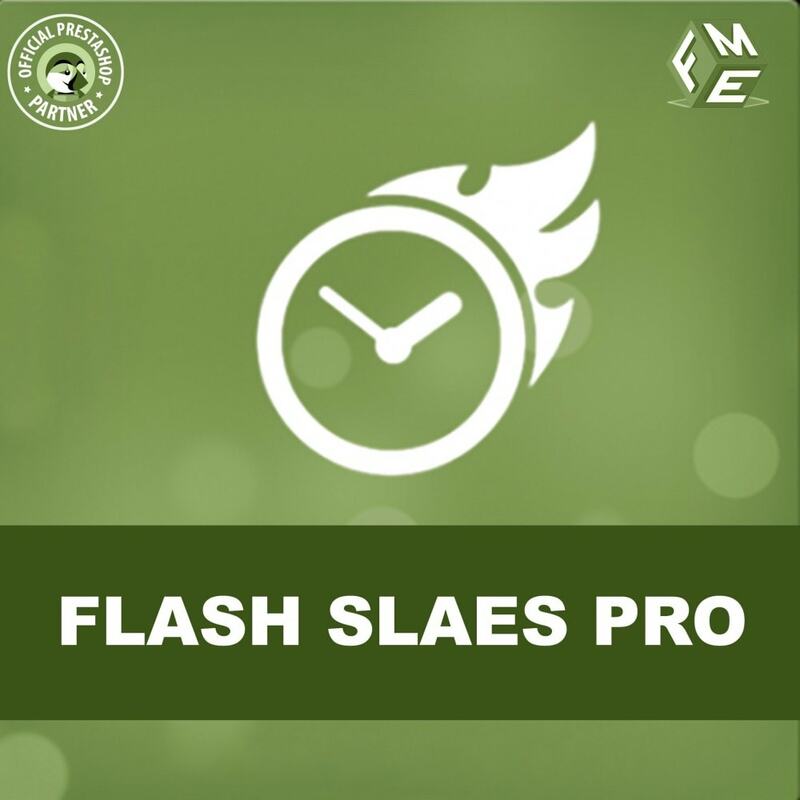 Display Flash sale countdown timer with the banner on products which are currently on flash sales. 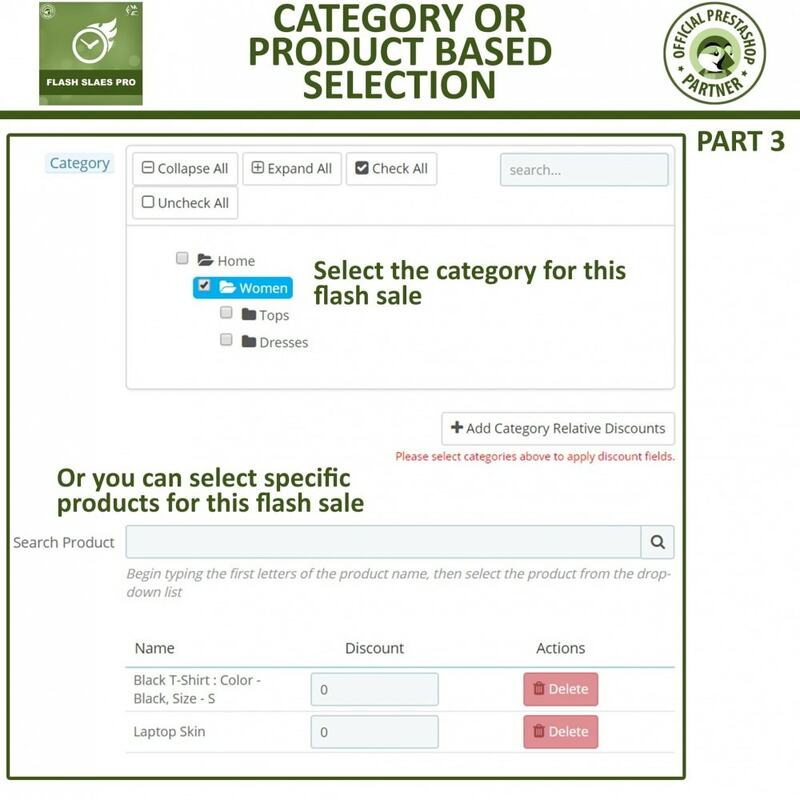 Each category and flash sale in the campaign can have a different discount. Very nice developer, helped immediately and adjusted the module according to my wishes. Total recommendation! Works great and when i needed help the support was fast. I recommend! Module that perfectly matches the description. Two small problems quickly resolved by the very responsive developer. I recommend this module. 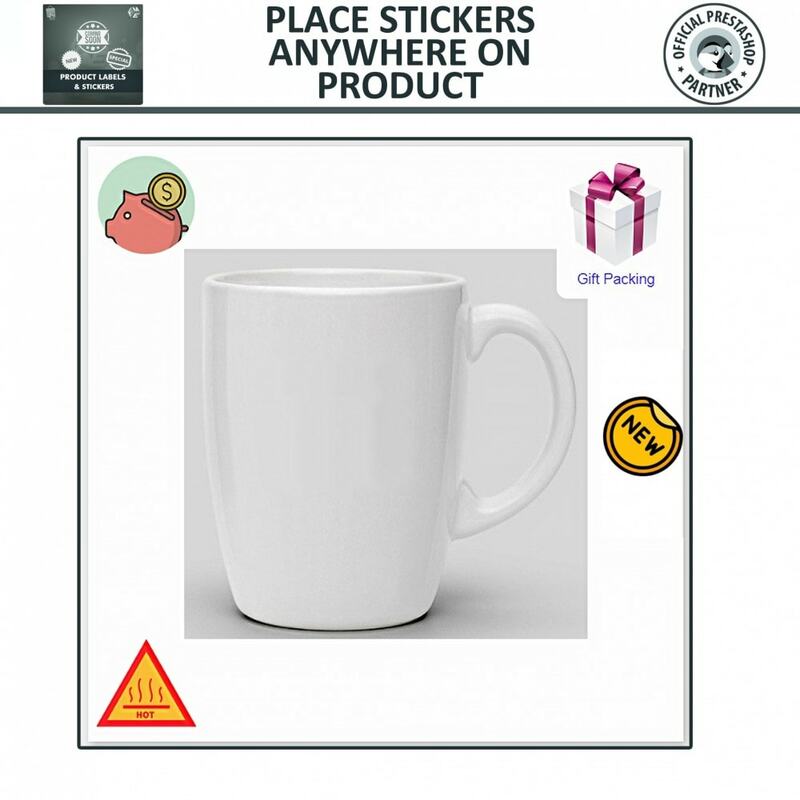 ● Position labels & stickers anywhere on the product image. Prestashop Private shop allows you to privatize specific products, categories or whole shop for visitors. Force visitors to login to see products. 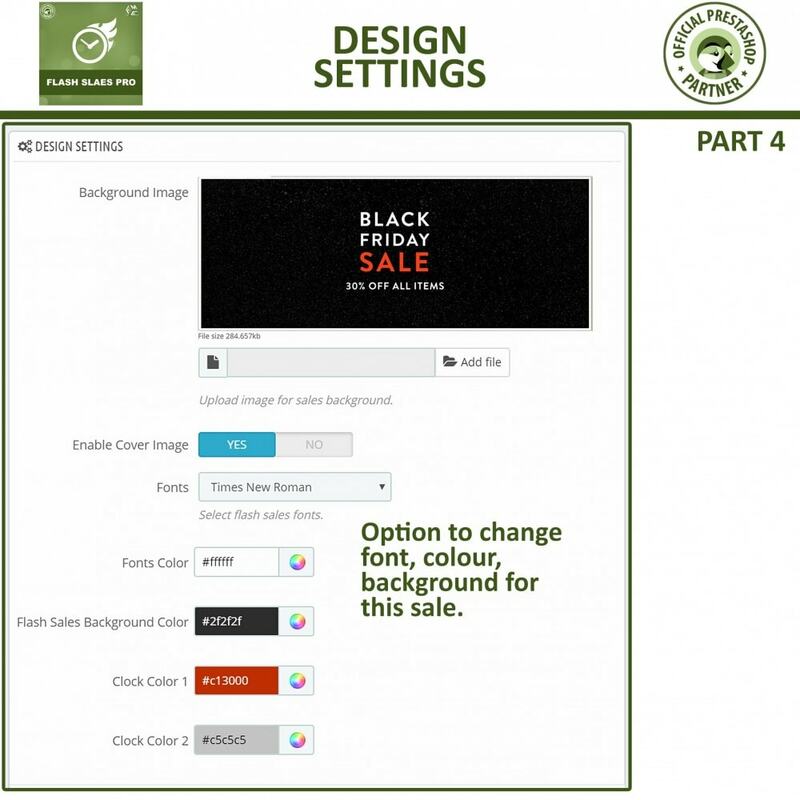 A perfect B2B module to privatize shop & make it accessible for registered customers only. Private Sales PrestaShop Module allows you to offer high-end products to a selected group of customers at reduced price. Make any category private and allow only VIP customer groups to access category products and avail discounts.